When you go RVing with your family, you'll, of course, want to take along the most adorable member of your family; your dog. 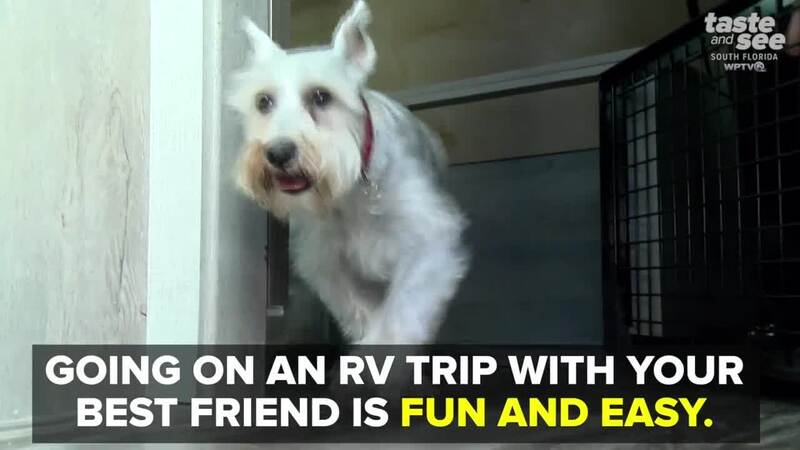 There is more to the prep work besides getting built-in features like cages with comfy beds and a kibble station for your RV. Make sure they are road-ready with up-to-date shots, collars with id tags with your mobile number on them. And just like you need your personal items you'll want to bring along theirs like leashes, wast pick-up bags, toys, brush, and that so tacky it's cute fuzzy sweater. When driving you'll want to look for scenic spots to stop for potty breaks along the way (rest areas are great for this). If you want to start day-dreaming about your four-legged friend cross country trips, the West Palm Beach RV Show is this weekend at the South Florida Fairgrounds.